Last week was referred to as 'Big Week' here at Wareable Towers. At Baselworld 2017 no fewer than 15 new Android Wear models went live, adding to the Tag Heuer Connected Modular 45 and the Montblanc Summit that were announced in the days leading up to the Swiss watch expo. Big Week doesn't actually do it justice. David Singleton, VP of Engineering at Google and effectively the man leading the Android Wear charge, knows only too well how hectic the last few days have been. First up he was in Zurich, on stage with the Tag Heuer CEO, then he was in London treading a similar stage with Montblanc's head-honcho, before he headed back to Switzerland to talk all things Fossil, Movado and Guess. "We're really excited about the momentum," he told us, a few days before the world's biggest watch expo kicked off. "In 2016, we worked with partners to announce 10 different models of watch but, by the end of Baselworld 2017, we'll have announced 20 watches with more yet to come later in the year. We are literally doubling-down our efforts." 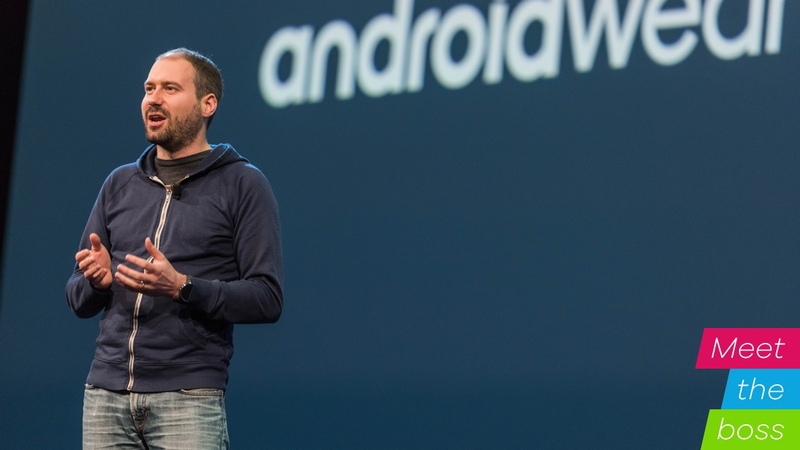 Android Wear has come a long way in the three years it has been in existence. Look at the original trio of Wear watches – the LG Watch, the Samsung Gear Live and the Moto 360 – and they are a million miles from what we're seeing emerge from Google's smartwatch stable now. And we're not just talking design improvements. In 2017 so far, of those 20 or so new Android Wear smartwatches Singleton mentioned, there's only two traditional tech brands involved – LG and Huawei. The rest of the list – Tommy Hilfiger, Hugo Boss, Michael Kors, Guess, Montblanc, Tag Heuer, Emporio Armani, Movado and so on – reads like a who's who of the fashion world. It's a huge shift of focus for Google but one born out of the original objectives of the smartwatch platform. "When we started, by thinking how Google could help the world by creating an operating system for wearables, we decided it was important to be able to represent your style, your passions and your personality on something you wear on your body," explained Singleton. "We're excited to see our ecosystem strategy really starting to pay off in terms of choices available to people out there." Singleton believes that it's the safety-in-numbers approach Google can provide that gets the fashion brands onside. He explained that these brands really buy into the old Android 'be together, not the same' ethos and that they aren't concerned about providing a similar experience to their rivals. "We wanted to create a platform and ecosystem to enable these existing companies out there with their own heritage and sense of their own branded entity," he explained. "A product like the Montblanc Summit, even if it proves to be wildly successful in the luxury space, it would always have a limited number of units out there in the world. It's hard for app developers spending the attention to build a great experience for just that product." "It's super working with a completely new industry," he told us. "The thing we notice most as we engage with luxury partners is quite how much the values and the heritage of what they've been doing must carry forth the real spirit into new products they are launching, even though they happen to be smart. And that generates a lot of creativity. We're having conversations that we have never had before and that, itself, is so valuable in taking the platform forward." Singleton also argues that the new features afforded by Android Wear 2.0 allows for partners to offer up unique smartwatch experiences and that much of the platform's evolution has been as the result of feedback from these non-tech brands. "Comparing the first-generation Android Wear fashion watches, to what we're seeing now, you can really see that we've really incorporated a lot of the feedback from these partners so that the watch can feel like a lot more like a watch designed by that company," he continued. "Sure, the apps are going to be the same but every single pixel on the watch face is something the partner has intimate control over. The functions and the watch faces and any apps they want promoted on the device – that's completely up to them." Smartwatch sales are a guessing game right now. Apple's apparently doing record numbers of Watch sales – but won't give us a number – and it's only Tag Heuer who've gone public with its Android Wear sales figures (56,000 for the first-gen, in case you were wondering). Analyst reports range from 'smartwatches are dead' low-ball numbers to 'smartwatches will save the world' mammoth figures. Singleton wouldn't give us a specific number to pin on the Android Wear success report card but he did give us a few hints, pointing us in the right direction. "We are seeing tremendous growth in the numbers of units sold," he told us. "We had a successful first year, back in 2014. We set what I thought was a pretty audacious goal in terms of the number of people we wanted to serve with Android Wear and we surpassed that. "We've seen double digit percentage sales and activations growth every year since. The holiday period of 2016 compared to holidays 2015, we saw over 70% more activations, so that gives you a sense of how quickly the ecosystem is growing. If you look at our companion app on Google Play, you can go there and see how many times the app has been downloaded." That app download number is stated at 5 million to 10 million so that's still pretty vague. But it does give us a ballpark mid-point, 7.5 million, to go on. What we do know, for sure, is that the fashion brands are pulling their weight. "The fashion partners are significantly contributing to our volume and that's important to us," explained Singleton. "And when we look at the top five list of most popular Android Wear watches during the holiday 2016 period, three of them were made by fashion brands." A few months ago, we were getting a bit concerned that the likes of Samsung, Sony and Motorola had seemingly given up on Android Wear. Our concern was, if Google's usual bunch of tech-partners weren't interested in taking the platform forward, then who would be? Fast forward to post-Baselworld and the answer to that question is becoming ever more clear.